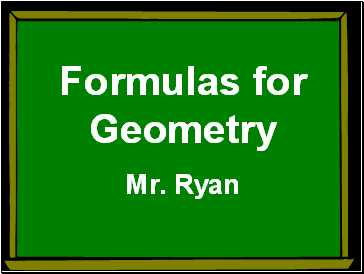 Evil mathematicians have created formulas to save you time. 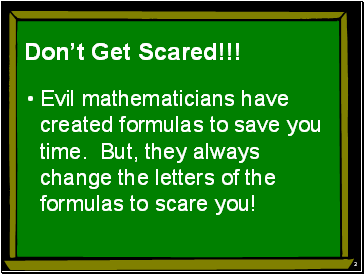 But, they always change the letters of the formulas to scare you! 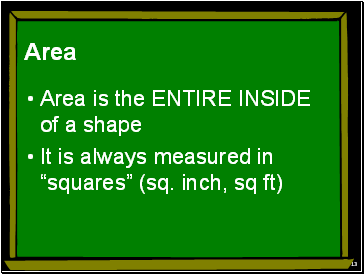 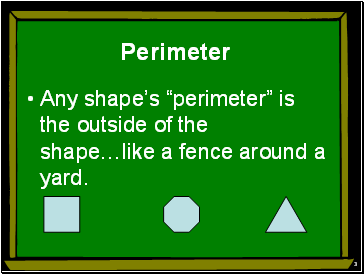 Any shape’s “perimeter” is the outside of the shape…like a fence around a yard. 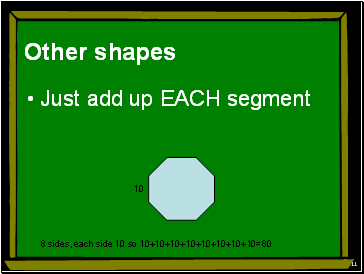 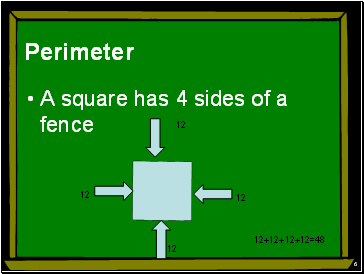 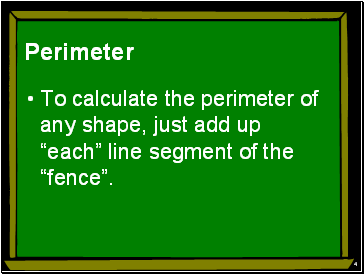 To calculate the perimeter of any shape, just add up “each” line segment of the “fence”. 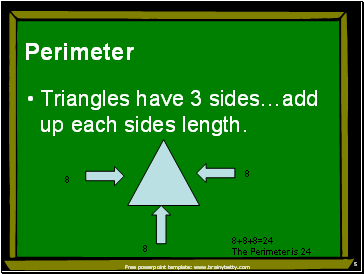 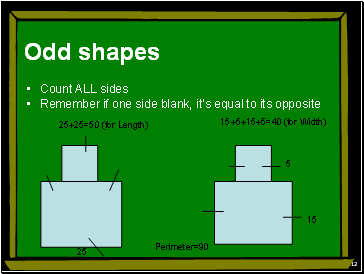 Triangles have 3 sides…add up each sides length. 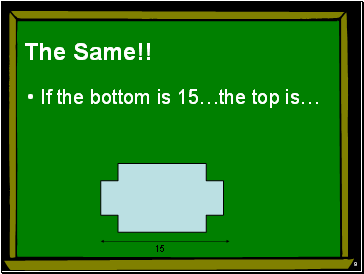 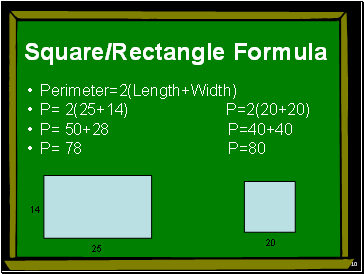 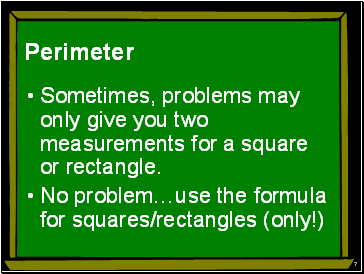 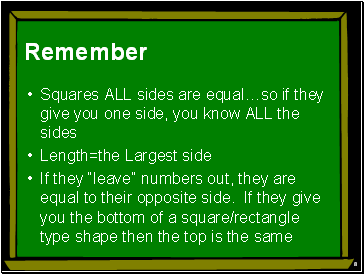 Sometimes, problems may only give you two measurements for a square or rectangle.